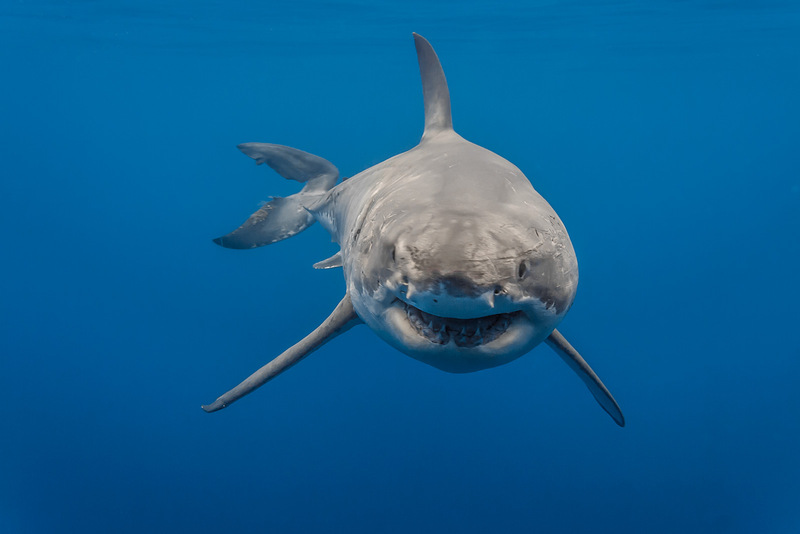 Lucy,a female great white shark (Carcharodon carcharias), isn’t afraid to come in for a close-up. 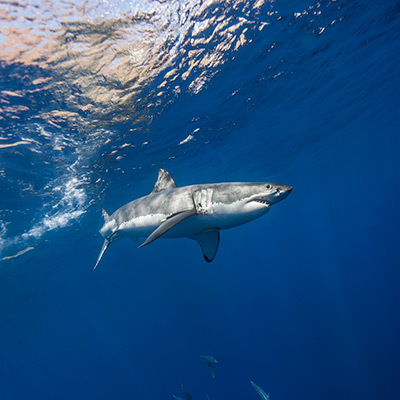 Sharks are often curious about camera equipment and sometimes will come in quite close to check it out. 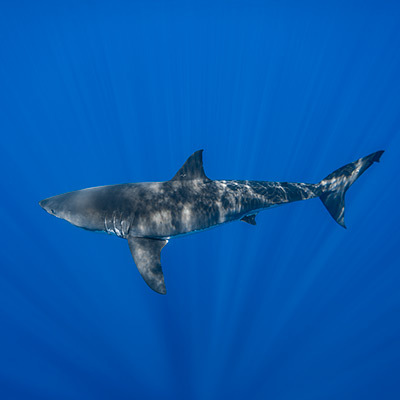 It is theorized that electrical components of cameras might be part of the reason for the curiosity, since sharks possess sensory organs which detect electrical fields.